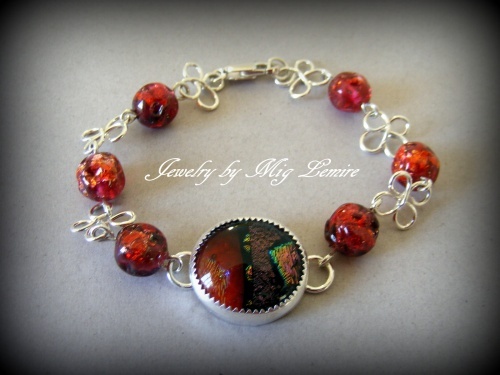 This pretty glass bracelet has unique beads that are orangy red and spaced with some handmade clover like silver components. Focal is a sparkly handmade dichroic glass. Fits most wrists 7".